Many anglers seek diversity in a wilderness fly fishing trip, and Salmon Forks Outfitters has designed a special trip that meets the bill! 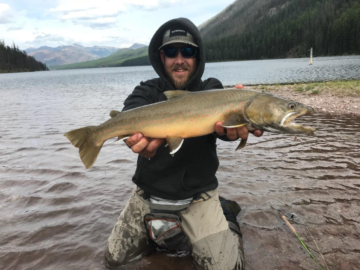 Salmon Forks Outfitters has access to some of the best fishing spots in the Bob Marshall Wilderness offering opportunities to fish alpine lakes, wild and scenic rivers and tributary streams. No two trips are the same, we arrange our itinerary based on the wishes of our guests as some anglers prefer the small streams, others look to the rivers, etc. Access to the various fisheries can be done as day trips or brief overnights in small spike camps. There isn’t a more authentic wilderness fishing experiences offered in the Bob, so book your one in a lifetime epic fly fishing trip with Salmon Forks Outfitters today! 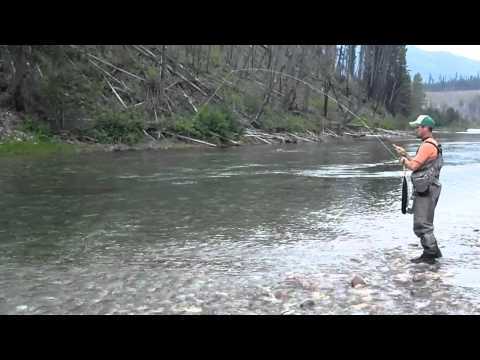 The deadline to target bull trout is July 31. If you want to target large native bulls, reserve your trip before July 31. We have flexibility with our July bull trout fishing trip dates, please inquire if other dates are more favorable for your trip plans.